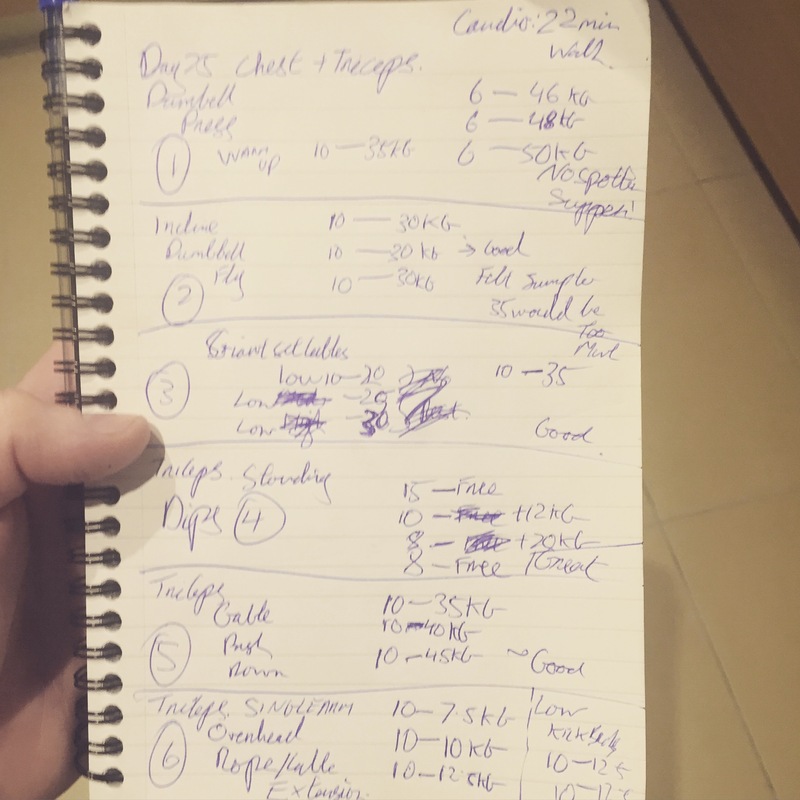 It’s Thursday evening of the facelessfitness.com gym programme, Today is chest & triceps which I think is probably everyone’s favourite training split. Definitely mine, well no I love them all! Crap I can’t decide now. Anyway I feel surprisingly fresh going into this workout, ready to smash this! Comment: Excellent press, got the 50 Kg dumbbells up without a spotter for 6 reps. It’s a lot of weight and will need a spotter for safety to push this on! But awesome! Comment: Good pump, kept it at 30 Kg this time as felt the jump to 35’s would be a bit too much coming off the back of my Press. Last set was really tough! Comment: Good finisher for Chest, up weight on this next time out! added the fourth set as I had it in me to do so! Comment: Great stuff, the extra weight really added the burn! Comment: Nice, 45 Kg was really good! Perfect! 10 reps right arm, 10 reps left arm, 10 reps right arm, 10 reps left arm, 10 reps right arm, 10 reps left arm. Comment: Ouch, Triceps are about to fall off! Comment: Really nice finisher here, really hits the outer head of the triceps. Brilliant! Weights Mood: Great workout, just keep pushing those weights up! 22 min walk on a threadmill, no incline. Cardio Mood: Just do it. extra 2 mins thrown in, no problem! Really happy with this workout. excellent stuff!